Ample parking is available adjacent to the Restaurant. Valet parking also available. 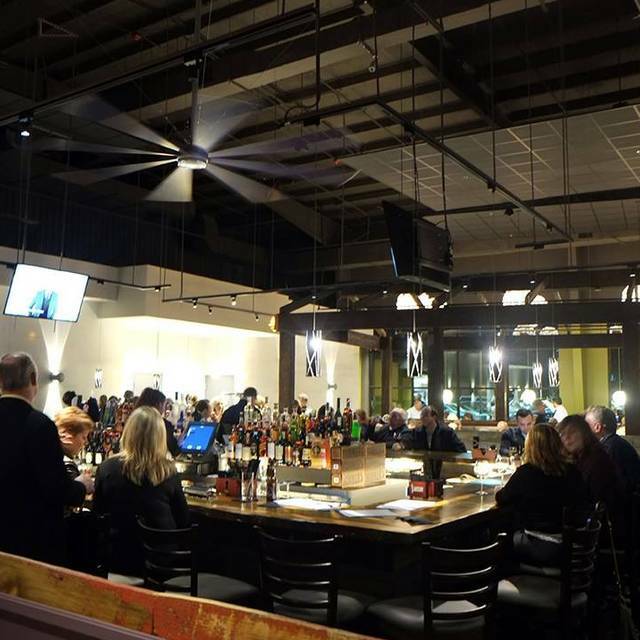 Located adjacent to the River House Restaurant and Raw Bar, Levee at the River House is the perfect spot to share a meal with family and friends and to enjoy some choice River night life. 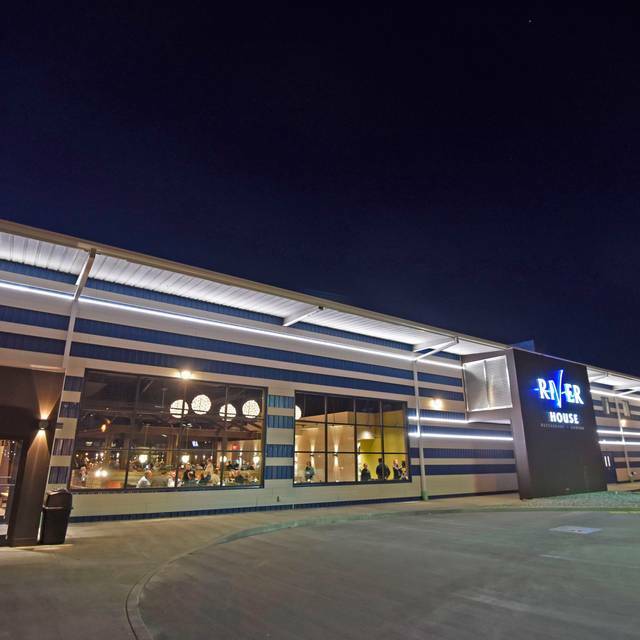 At Levee, the emphasis is on live entertainment with some of Louisville’s most exciting local musicians and singers on an intimate stage. 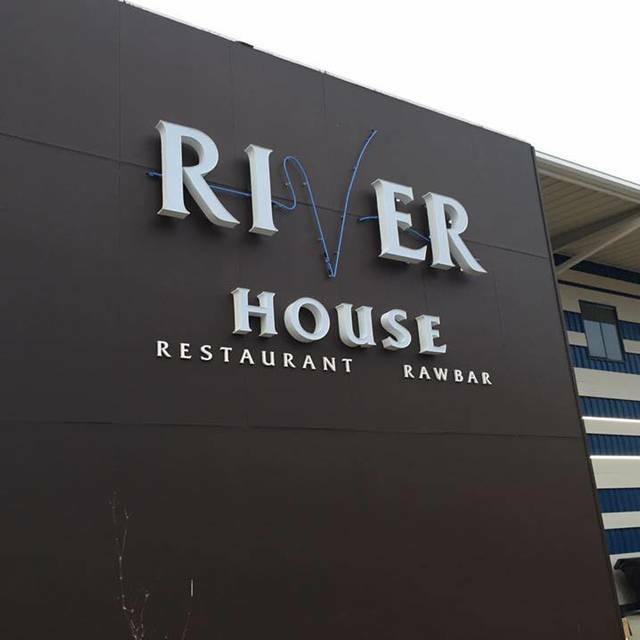 River House Restaurant and Raw Bar is Louisville’s premiere riverfront dining destination. 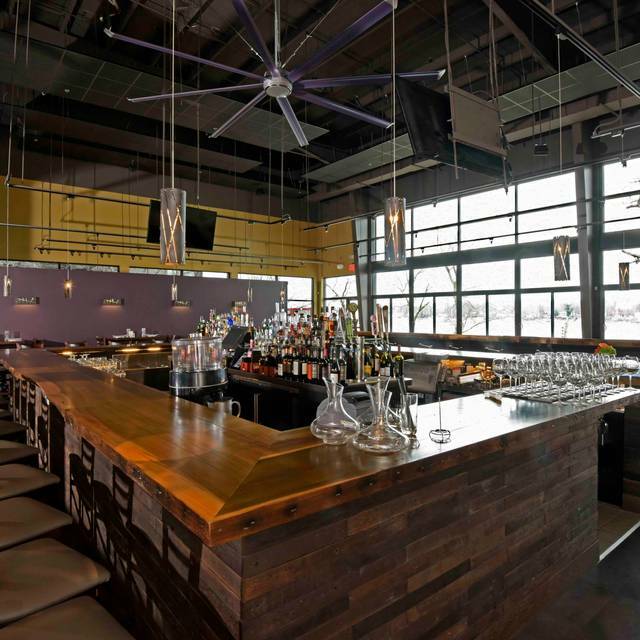 It is the vision of award-winning chef and restaurateur John Varanese and seats 330 in its main dining room, raw bar, and patio. Guests experience a charming “home like” atmosphere as they enter the restaurant from the front porch garden area. Enter through a 20-foot tall by 40-foot wide water wall, and enjoy intimate decor, and a floor-to-ceiling glass wall overlooking the back courtyard and river, River House is open 7 days a week for lunch and dinner. 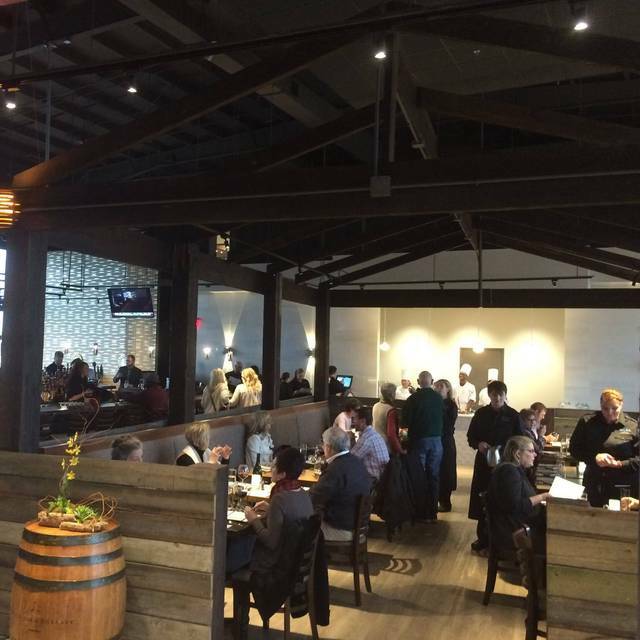 The menu features regional cuisine with a Southern flair and an emphasis on fresh seafood including Grilled Oysters on the Half Shell, BBQ Braised Beef Short Rib, and the Maker’s Mark Bourbon Barrel Smoked Salmon. 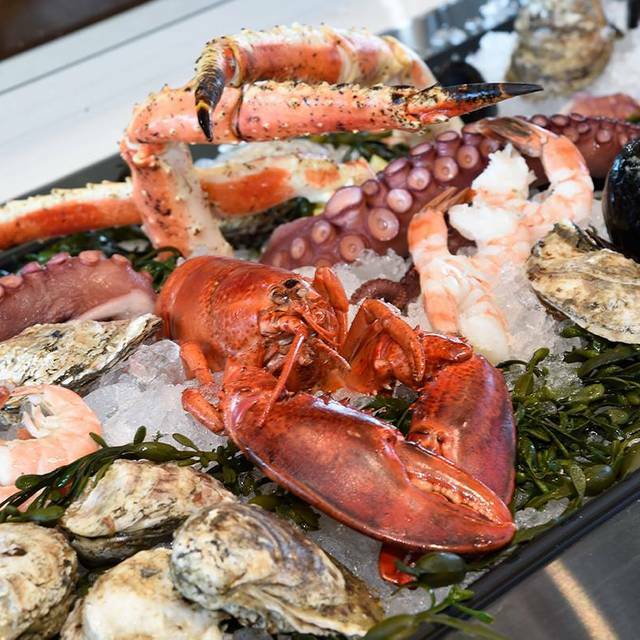 Our 15 foot raw bar features assorted raw oysters, king crab, and jumbo shrimp. Reservations are recommended. We look forward to serving you! Today is a special Brunch Buffet. (Regular lunch menu will not be available). Adult Buffet $29.99, Children 10 and under $11.99 plus tax and gratuity. Our waiter was exceptional, very knowledgeable in wine offerings. Set outdoors...great evening. Excellent service. Food was very good, and as expected. Outside deck was very well maintenanced and comfortable. Perfect birthday dinner. We sat outside overlooking the river. Everything was excellent. Lots of places are in a frenzy on Easter Sunday, but not Riverhouse. Very busy but very relaxing. Food was outstanding, as usual, and service was on the spot. Louisville is blessed with many good places to experience fine dining and this is one of the best. Had made reservations for Easter brunch almost a month ahead. Arrived and were placed outside, cool and damp. Asked to be moved inside. There were many vacant tables inside. Placed near opening doors. Food was just disappointing. Desserts were not true desserts but sweet rolls and were hard. Very little choice of vegetables. Food was not that tasty and not worth the cost. 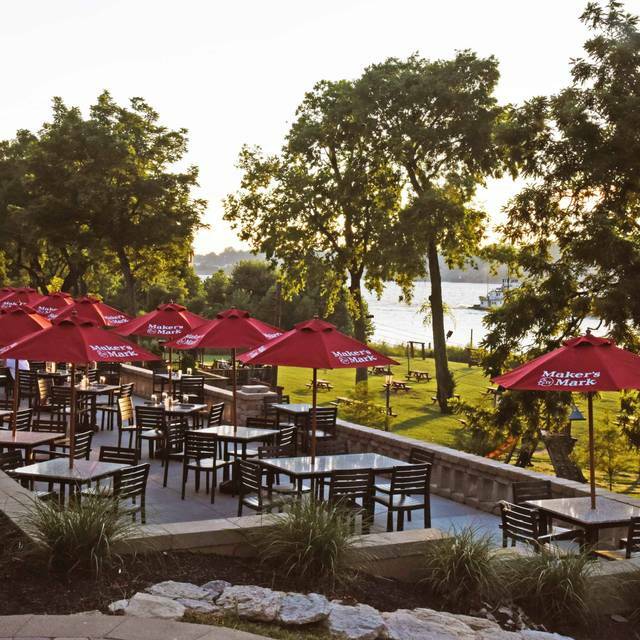 Beautiful setting right on the river and great food. The Salmon and Scallops were perfectly cooked. The bartender also made a great Manhattan and Old Fashion. Everything was superb, except a the char grilled octopus appetizer, which was awful tasting. I had ordered it before and it was delicious. This time around it was extremely rubbery and overspiced. Neither my date or I could eat it and spit it in our napkins. Very disappointing. Food was excellent! My husband doesn’t like seafood and he had several other options to choose from! Our server was okay but it seemed like her knowledge was limited. I learned more about the food from the server waiting on the table behind us. Otherwise, good experience and got our food pretty quickly. Will definitely go back! The River House never disappoints. I have now been four times in the last five months. We had hoped to sit outside but mother nature did not cooperate. We started off with the fried brie,everyone loved it. The salads were crisp and perfectly dressed. The entrees were prepared just as we had asked. Our server was very professional and explained the night's specials .We had tickets for the Louisville Orchestra later that evening. We were finished on time and arrived to our event with time to spare! Great food and great atmosphere! I love eating here on any occasions! We had the brussel sprouts for an appetizer and they were incredible you have to try them. We shared the seafood platter and added fried oysters and it was plenty. The quality, taste and presentation was excellent. We had a wonderful birthday celebration for my mom. We sat outside on the patio the weather was perfect but the overall views and service was amazing!!! 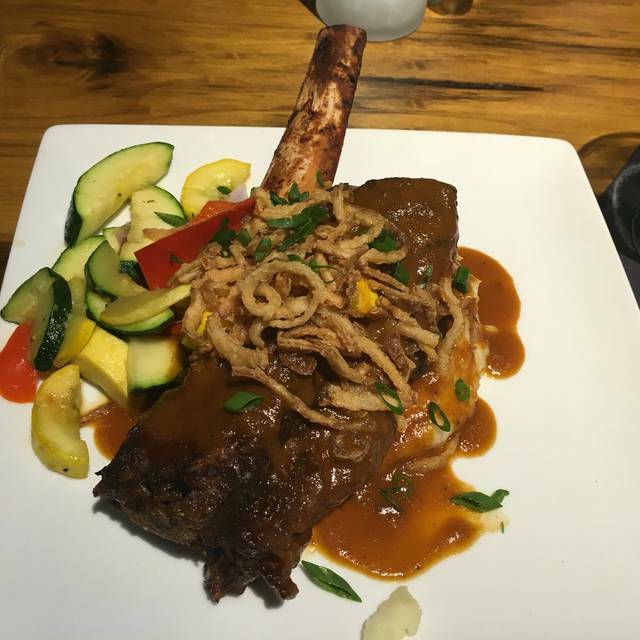 The food is of the highest quality and prepared skillfully and beautifully by Chef John and his team. Service was perfect for a business meeting. Perfect outdoor seating with the best few and fabulous food! The food wws mediocre at best. WAY overpriced and over proportioned. Focus on quality vs. quantity. We lived this place! It was a little cool out but there were fire pits on the patio that made eating outside a wonderful experience. The food was very, very good. Highly recommend. Wonderful food and very nice setting! First time eating there and will go again. Lucky enough to be at River House on a lovely Spring day for lunch with clients. Neither had been there before so it was a treat to introduce them to River House. They loved their meals, I just got the Granny Smith Apple salad with was terrific and just the right amount. After the meeting, I finished my salad at my office! The only downside: there is a little construction going on next door at the upstairs of Levee, so it was pretty loud. It is very open at River House with very high ceilings, so the sounds of table saws, hammering, dropped construction materials, made it difficult to hear our server and each other, and just echoed with all the hard surfaces in the Restaurant. Hopefully, they'll be finished soon but I know it wouldn't be an issue at happy hour or dinner. My clients were otherwise very happy and impressed and both plan to return at other times. The chef really knows how to prepare fish!!! Everything was just awesome. Our server Jessica did a wonderful job. We came on a Sunday at 3 & were wanting something from the dinner menu & she went back to the chef to see if we could get it & we did! We will be making a return visit! Always great food and outstanding service. We actually arrived 20 minutes early and they still seated us in a pride spot. 46th Anniversary dinner, was very surprised at the price, even though I am not used to spending that much the bang for our dollars were good. Our experience could have been a little better if we had a window or outside table. We didn’t realize it was available but we also were not asked. Overall great service, food & experience. Somewhere we wouldn’t visit a lot but for special occasions, absolutely. Took our grand niece to the ballet after dinner. She was very pleased. We were seated in the smaller room which is not as nice as the main dinning area as far as ambiance is concerned. That distracted somewhat from the normal experience and we were a little disappointed with that. Terrific restaurant experience! Service was prompt and polite. Food was fabulous especially the octopus appetizer. This was our second lunch at River House. The Brussel Sprouts are all of our favorites and the food is always good. We sit by the windows for a great river view. Food was great and service impeccable. Raj was an awesome server and took great care of us. Not impressed. Overpriced. All you can eat crableg night was disappointing. We have visited River Hiuse several times and it never disappoints. The service has always been friendly and professional. We enjoy the ambiance, because we usually go for lunch we have not experienced a noise issue. 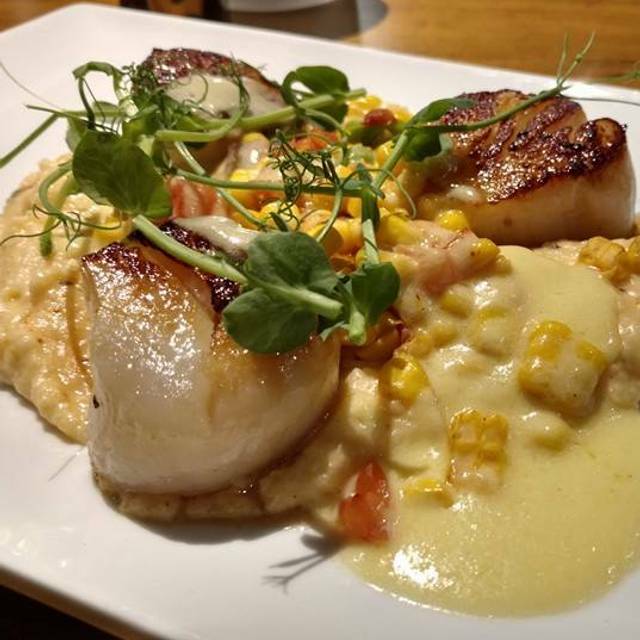 Our favorite dishes are the Brie and sour cherry appetizer, crab cakes with grits and succotash ( oh the succotash!!!) , the seafood tower ( smaller one is enough for two if you add a side dish), and the fried avacado with crab salad. Made reservation for lunch before Madea farewell play. Good brunch menu. Good friendly service. Will return again! Service was not up to my expectations. While the food was superb, I would’ve preferred the waitress to place it on the table in front of my guests and not “plop it” on the table. The waitress also hit one of my quests in the head with the water pitcher. It would also have been convenient if she would insure the dinners would have eating utensils! Bartenders were great in that they know what they are doing. The problem is getting the drinks to the table! Would have expected a little better experience for a $510+ tab! Thank you for the wonderful night celebrating two birthdays! Excellent in every aspect of dining! Awesome food, great atmosphere and great service! Must try. The experience was Great!! My wife and I were there for our 21st Wedding Anniversary. Great experience. We will be back. Had an absolutely amazing experience. The atmosphere was great along with the service.